For ages 4 and up, here’s a variation on “War”. In this game, the cards are given strength values and you duel using them. 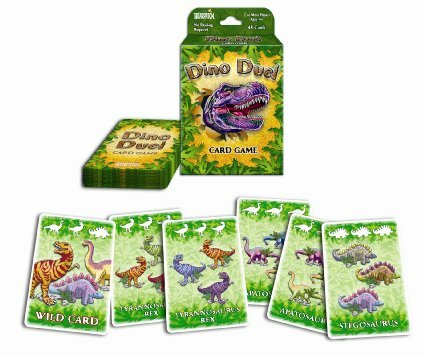 Is you Stegosaurus strong enough to defeat your opponent’s Apatosaurus? Good for 2 or more players. And, please, as always…no betting! Tags: board, cards, duel, game.